Let’s all go back to basics. 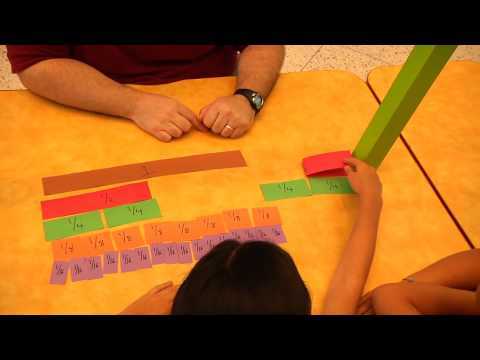 Often, the best way to learn about fractions is to directly experience them – manipulate them and try to figure out how they interact and compare with each other by directly comparing them. How many thirds and sixths does it take to be equivalent to a half? Let’s find out by using fraction cards! Fraction cards are a quick and easy way to start exploring the idea of equivalence as well as other manipulations of fractions. They are cheap to make (all you need is construction paper, markers, and scissors) and are very useful. Plus, there are lots of games you can play to help make manipulating fractions make sense and relieve your fraction frustations. So check out the video and learn how to make your own set today!